As the name suggests, best personal loan is meant for fulfilling all your personal requirements. Whether you are dreaming of going on a vacation or you want to have a big decent wedding, personal loan is always there to help you cherish all your precious moments without worrying about the finances. You can also opt for personal loan during any emergency situation like medical one as the approval & disbursal of personal loan is faster than the other loans and there are surfeits of lenders from whom one can get personal loan without any hardships. Now, you might be thinking- am I eligible for a personal loan? 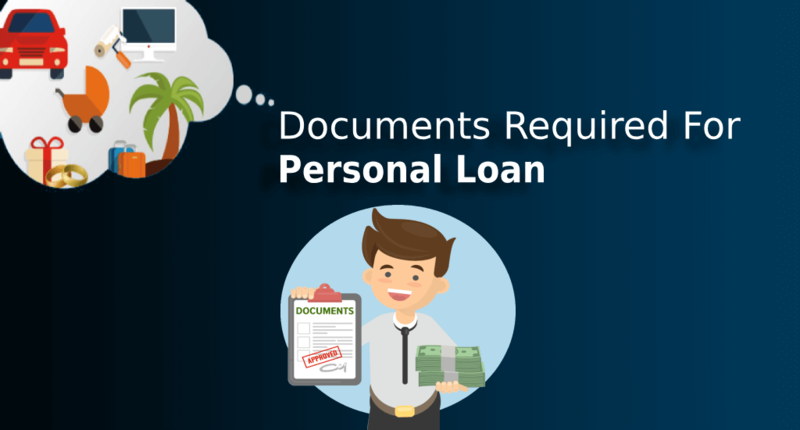 In case you are eligible, you would require keeping some documents handy in order to successfully apply for a personal loan. Almost all the banks and NBFCs offer personal loan, but if you want to avoid visiting bank and rushing around for hours and days, you can easily apply for same from your home through online financial service provider i.e. Afinoz.com. We will put in every effort to help you to get the loan within 3 to 4 days and that too without going anywhere & bypassing all the hassles involved so that you can utilize more of your time to focus on your work. Complete loan application form with 2 passport size photographs. Valid Proof of Applicant's Identity (any one): Voter ID card, passport, pan card, driving license. Proof of Residence (any one): Ration card, passport, and utility bill. Proof of Age (any one): Voter ID card, passport, pan card, driving license. The Personal Loan Application Form is used by loan applicants to request banks to consider their requirement of loan. Subsequent to validation of all the details provided in the application form, the bank will process the application and will let you know the next steps to get the required loan. Why Bank Statement is crucial for getting a Personal Loan? Bank statements confirm your identity: First of all the bank statement verifies your name and current address. Straight away, if your name or address is different from what you filled up in your application form, this will cause further questioning and can obstruct your process of assessment. Bank statements confirm your income: Irrespective of what you say about your income in your loan application form, bank or financial institute will still verify this by checking the salary deposits into your bank account. If the figures do not match, the lender will rely on the income they see on your bank statement as this is clearly the net income you are having. Bank statements shows your reliability: If you have any existing loans, a lender will check your bank statement to see how competent you are with your loan repayments and will also look for any discredits. If you handle your current loans well, this will go a long way towards you being approved for another personal loan. On the other hand, if you’re horrible with your loan repayments or in arrears, the likelihood of you getting your loan approved will be far less, if at all. Bank statements show if you can afford a new personal loan: Bank statement specifies if you are left with enough amounts to repay the installments of another personal loan or not. If you are charged penalty due to failure in repayments of your current loans in past then it infers that you are not able to afford a new personal loan. It is quite clear that your bank statement reveals much information and helps lenders determine whether a personal loan should be approved. So, it is very significant for you not to overlook your bank statement and make sure to establish good records of your bank transactions in advance consistently.